Forza Motorsport 6's $20 VIP upgrade gave players exclusive cars, special online events and, best of all, double credit earnings for races. Forza 7's $20 VIP upgrade swaps the always-on double credit bonus for five limited-use “mod cards.” Boo. Update: Big changes coming in response to player feedback. 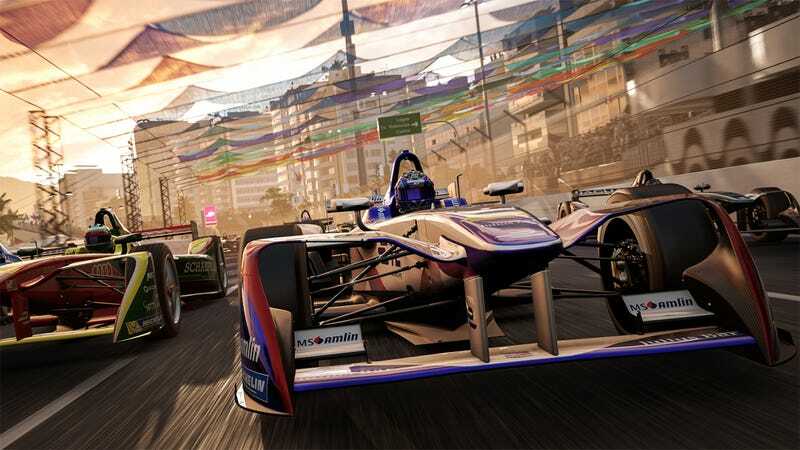 The double racing credit bonus has been the core reason for picking up a VIP pass for Forza since the benefit was introduced in 2013's Forza Motorsport 5. Players use credit earned in races to purchase new cars in-game, so doubling race rewards is a very big deal to players looking to score the best rides. What Forza Motorsport 7 has done is replace that core VIP reward with five special VIP mod cards. Tied to the game’s new loot box feature, in which players can opt to spend credits (and eventually real money, as confirmed by Ars Technica) for a chance at limited edition cars, useless cosmetic driver outfits or cards that modify the rewards given by races based on specific conditions. In previous iterations of the series, players could turn off driver assists like auto-braking in order to earn better rewards for racing. Now that’s all handled by these mod cards. The VIP reward cards are limited mod cards that are rewarded to purchases of the VIP Pass, either standalone or included in one of the game’s pricier special editions. Instead of unlimited double race rewards, players are given five cards, each good for double credit rewards in five races. At the beginning of most races (some do not allow the use of mods), players can choose to apply the VIP credit modifier. Once all 25 uses are gone, that’s it. Exclusive cars Mods Driver Gear and more await with Forza Motorsport 7 VIP membership! Forza Motorsport 7 VIP members receive exclusive VIP cars. VIPs will receive additional benefits including 100% CR bonus Mods VIP Driver Gear and more. Get your VIP membership today! While it does say that the 100 percent credit bonus is in the form of mods, that’s not exactly clear to someone who has no idea what that means. And since the two previous iterations of the game gave VIP players the 100 percent bonus without limits, there was no reason to expect otherwise. Forza Motorsport 7 VIP membership features exclusive rewards you can’t get anywhere else! Forza Motorsport VIPs receive exclusive VIP cars, VIP Driver Gear Suits, as well as five 100% CR bonus Mod cards (five uses each per card), and more. Get your VIP membership today! The message is quite clear now. Unlimited double race winnings is a thing of the past. It’s hardly conducive to the game’s new loot box system, having players running around with extra credits to spend on boxes that might contain mod cards or special cars or stupid outfits. Seriously, there is no need for these at all. Forza Motorsport 7 is still a very fine racing game, but this turn towards loot boxes and changes to the VIP bonuses are not a great look. Update October 5, 9:30 AM: In a letter to the community posted to the Forza community page on Tuesday evening, Turn 10 studio head Alan Hartman announced that the always-on double credits benefit will return in an upcoming update. In the meantime, VIP members have received a bonus of one million in-game credits and four powerful new cars to play with.